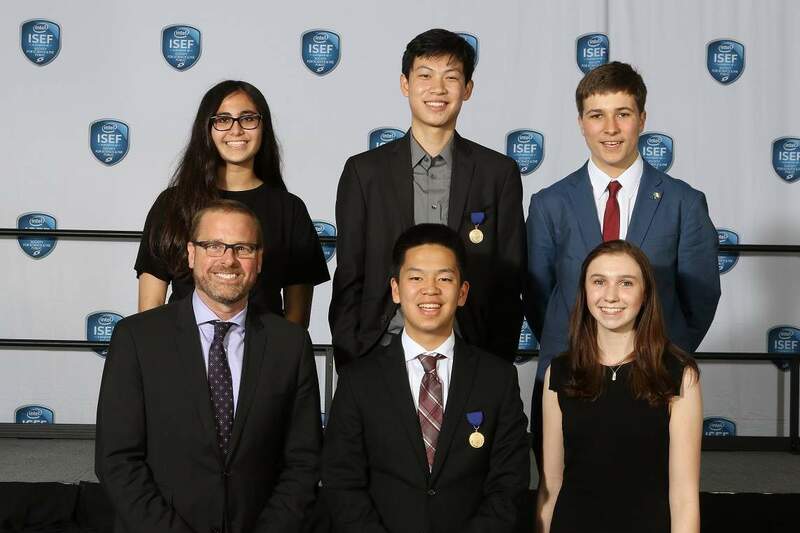 The Drug, Chemical & Associated Technologies Association (DCAT) has announced the winners of four scholarships presented at the Intel International Science & Engineering Fair (Intel ISEF) Special Awards Ceremony on 17 May in Pittsburgh, Pennsylvania. Colette Benko, a senior at St Mary’s High School in Calgary, Alberta, Canada won for her project, A Novel Paediatric Cancer Therapy Targeting Epigenetics and Neuroblastoma Differentiation. A cancer survivor herself, Colette was motivated to study new therapeutics for neuroblastoma with limited side effects after observing the suffering of young children at the oncology ward where she was treated. Working independently in a paediatric research lab at the University of Calgary, she investigated seven distinct inhibitors based on their ability to alter gene expression and protein regulation, similar to those induced by cis retinoic acid (CRA), a common treatment used today that has harsh side effects. Her study confirmed the ability of epigenetic altering drugs to induce differentiation in NB cells in vitro and provided pre-clinical evidence of some essential, desirable properties of the drugs DZNep and Selinexor in the evaluation for new therapeutics for this disease. Colette hopes to publish the results of her study and will study medical sciences in college with the goal of becoming a paediatric cancer researcher. Sasha Ronaghi, a sophomore at Sage Hill School in Newport Coast, California won for her project, Designing a Water Repellent and Breathable Material for Wound Dressings Using Nanotechnology. After struggling with commercially available wound dressings that trapped moisture and did not prevent the penetration of water following surgery last summer, Sasha was inspired to create a material that is hydrophobic, breathable and biocompatible using nanotechnology. Sasha hopes to continue her research to explore the use of other metals as moulds and the possible reuse of the gold moulds created during the process. They studied the rate of release by hydrolysis of three APIs: naproxen, salicylic acid and hydrocortisone from hyperbranched polyesters (HBPEs) of different hydrophilic/hydrophobic balance and solubility. They found that altering the composition of the HBPE significantly changed the release rate of the API, demonstrating that the HBPE platform can be used for sustained release of APIs and to control the rate of enzymatic release. Daniel and Brandon will both be attending Michigan State University in the fall where they will study computer engineering and biochemistry, respectively. Fionn Ferreira a junior at Schull Community College in Schull, County Cork, Ireland won for his project, An Investigation into the Removal of Microplastics from Water Using Ferrofluids. Concerned by the microplastics washing up on the shore in his hometown and discovering that no screening or filtering for microplastics takes place in any European wastewater treatment plants, Fionn was inspired to develop a method for extracting microplastics from water that could be used commercially. The method he used is based on a process used to clean up oil spills. After the microplastics migrated into the oil phase, he added magnetite powder (non-toxic iron oxide) and the resulting microplastic-containing ferro-fluid was removed using strong magnets. Because he lives far from any testing facility, all of his experiments were conducted in his home and he built a visible light spectrometer to measure the concentration of microparticles in each sample. Using this method on the 10 most commonly found microplastics, he found an average of 87.6% ±1.1% extraction. As a Special Awards Organization, DCAT awarded US$3,000 to four student projects and contributed US$3,000 to the ISEF Education Outreach that brought 2,500 local students to view the exhibits and participate in hands-on science activities. Intel ISEF is the world’s largest international pre-college science competition. Each year, Intel ISEF brings together approximately 1,800 high school students from more than 75 countries, regions and territories to showcase their independent research and compete for an average of US$5 million in total prizes.